One of the box covers for 'Apocalypse Pompeii' has some kind of man all burnt up in lava looking like a zombie. That's not in this movie… but it should be. This would be another free movie concept from your friends at the FCU, but how about Lava Zombies! Tell me that doesn't sound like all kinds of awesome? Would you like to deal with a Lava Zombie? I know I wouldn't. Somebody get to work on that… and since this is in print, expect to be sued the minute it gets released. I don't want to sue, but it is what Americans do. 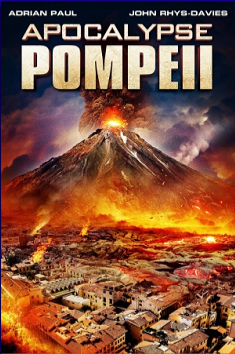 No, we don't have Lava Zombies, as it looks like our friends at The Asylum are mockbusting the big budget movie 'Pompeii', but with this movie taking place in modern times instead of 79 A.D., because that would be expensive. Retired special ops badass Jeff Pierce (Adrian Paul) is in Italy to interview for some top lop level job, and he brought his wife Lynne (Jhey Castles) and daughter Mykaela (Georgina Beedle) along for the ride. The wife and kid are going to check the ruins of Pompeii while the always nervous Jeff does his job interview. Then the ground trembles like an earthquake, Jeff figures its bad and the family should stick around, but we are assured that this happens all the time in Italy… no problems. Family goes to the Pompeii ruins. No sooner than they get there does Pompeii erupts, killing tourists like it's nobody's business. And while this is really bad, the good news is that we have Mykaela on board and she's blessed with the Volcano Knowledge Gene. I mean this top heavy teenage girl knows everything about everything that has anything to do with volcanoes. She explained why, but we're not going to get into all of that. film watchers will surely notice that Mr. Davies also played a Col. Dillard in the movie '100 degrees Below Zero', and he owed a debt to that clown too. Col. Dillard is pretty pathetic when you think about it, considering how many times he needed his life saved in 'Kandahar, or Iraq, or Myanmar. I'm also guessing Mr. Davies did not change clothes for these roles, one being shot in the day with Jeff Fahey, the other shot later in the afternoon with Adrian Paul. That's an easy 500 bucks for Mr. Davies right there. Anyway, Dillard helps by getting The Band back together, these being Jeff's fellow Special Ops bad asses who often say stuff like… 'Reminds me of that op in Kandahar…' and stuff like that. Lot of stuff went down in Kandahar. These four have to use their super stealth techniques and steal a helicopter.  That, in itself was some highbrow comedy like I've rarely seen, considering their Super Stealth techniques involved running in open fields in broad daylight and dodging bullets by outrunning them. It was outstanding. Back in Pompeii, our tourist are getting picked off one by one via flying hot rocks, heat waves, evil gas, and flowing lava… all which could've been avoided had they listened to the teenager with the volcano knowledge, but what can you do? Mom and baby girl take solace in knowing that Dad has to be on his way. Because rescuing people is what he does. Besides, this op is eerily similar to the one Kandahar, so I don't see no problems. *Deep sigh*… You want to know what the problem is with 'Apocalypse Pompeii'? It's not that it's terrible… because it is… it's not that the acting is somewhat less than desirable… because it is… it's not that the special effects or pacing is suspect… because you know it is. The problem is that we've seen nearly this exact same movie so many times before from our friends at The Asylum. 'Apocalypse Pompeii' is not all that different from '500MPH Storm', which is no different from '40 Days and Nights' which is no different from '100 Degrees Below Zero', which varies little from '2012: Ice Age'. These movies are almost exactly the same in story, pacing, presentation, and design. No one likes watching the same movie over and over again… I don't think… especially when that first movie wasn't all that great to begin with. I guess the real root of the problem is that I insist on watching all of these movies. Because of this, it was even difficult to enjoy the unintended humor. Watching people explode from rogue heat waves is pretty funny. Watching folks run from to the roof to get away from basement lava, then run back down to the basement to get away from roof lava is pretty darned funny. One would think basement lava would just collapse your average structure, but not Pompeii libraries. Listening to the gang wax poetic about the Kandahar job was pretty funny and watching hot rocks fall from the sky and incinerate people never gets old… but we've seen it all before. What this movie needed was a Lava Zombie. Nobody is listening to me about any of this stuff, but all I'm saying is mix it up a little bit guys. Don't let your movie be 'simply terrible', allow it to be 'spectacularly terrible!' Lava Zombies… or maybe ninjas… is key to making that happen. Don't Be Square... Like Totally Twisted Flix!